With the half way point of the year upon us, I wanted to revisit the goals I set for myself. I have really tried to hold myself accountable to these. Smalls steps to big goals is what I have in the back of my mind! So where do a stand? 1. Don’t sweat the small stuff. This is a constant reminder. I still am very hot headed and get worked up easily but I am working on giving myself a few seconds to breath before reacting so brashly. 2. Be a better listener. Another thing I CONSTANTLY have to remind myself. But I am proud to say I have really noticed it becoming more of a habit. 3. Blog once a week. I am so proud to say I have kept up with this so far! I am really working hard on outlining my blog/social media calendar so I am more organized! 4. Practice yoga once a week. I have really struggled with this one. I am working out more consistently but yoga has only been happening every other week. I definitely am going to start doing it more. I found some really great Tone it up online yoga videos the other day actually! 5. Travel to a new place. I am headed to Nashville, TN for a bachelorette party in July! Any recommendations of what we should see/do?! 6. Learn a new skill. I don’t know if it is a *new* skill but for the first time I am actually actively running and cutting my pace. I can run on the treadmill at a 7 which I have NEVER been able to do before! 7. Volunteer more. I have stepped up to be event chair for the Jingle Bell Run 2017! Contact me if you want to make your own team, or join mine here! Even if you can’t be there in person you can “Jingle in your Jammies” from home AND you get the awesome event t-shirt or make a donation! Overall, I am proud of myself for working to reach my goals! Just have a few areas to work on but like the quote above sometimes it isn’t about the final goal it is about the journey to get there! What are were your 2017 Resolutions/Goals? How are you accomplishing them? I think it is about time to outline another Fantastic Philanthropy! The YMCA has grown close to my heart over the last year. My husband sits on the local board for one of the branches and I started working out there about a year ago. We are involved specifically with the Westside and Benbrook YMCA’s. The YMCA gives scholarships and youth program opportunities. Persons who wish to utilize the services of the Y, but cannot afford them, are given assistance based on their needs. This allows the YMCA to say “Yes!” to those who otherwise would not be able to participate. The YMCA offers a complete continuum of services for all ages. Beyond the great things they do for the community the staff is great! I am greeted by my name everyday and asked how I am. The group fitness instructors recognize you and also are very friendly and knowledgeable sources. I think that goes to show how great the YMCA is not only for individuals but for the community. Whether you are there to get fit, have children that play sports or are looking for a great philanthropy the YMCA serves all of those and much, much more! Visit the YMCA for more info on how to volunteer, donate or join the gym! 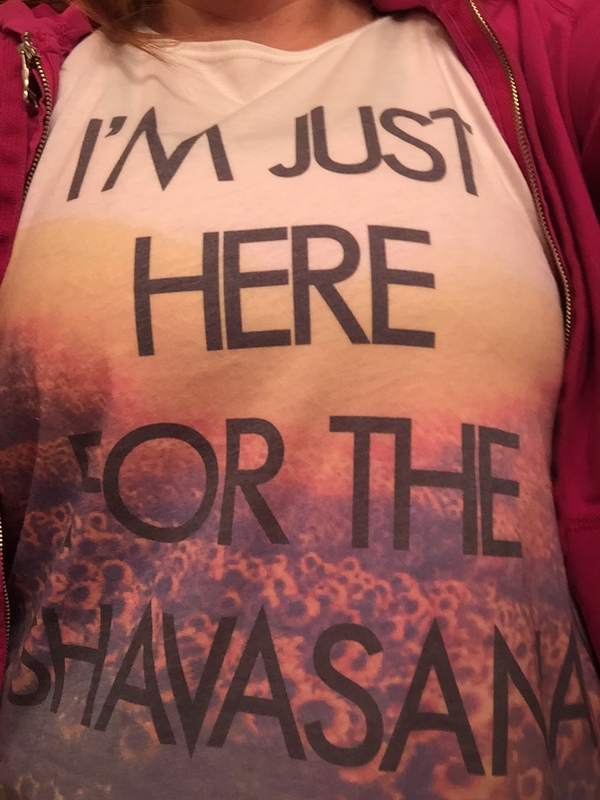 My new favorite Yoga shirt! Found at Marshalls. 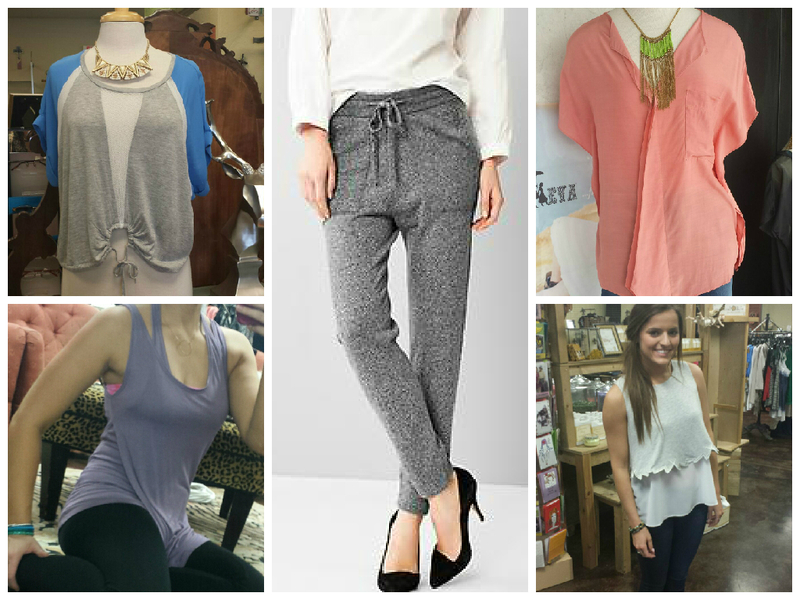 Right now I have A LOT of items on my wish list! Here are my current crushes can’t wait to get out and get a few of them! 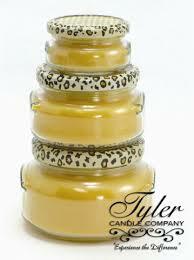 Tyler Candles: I love most of their scents! Wisteria is one of my favorites! Steve Madden: Ecentric- Leopard– Leopard is a neutral and I love this fun and laid back flats! 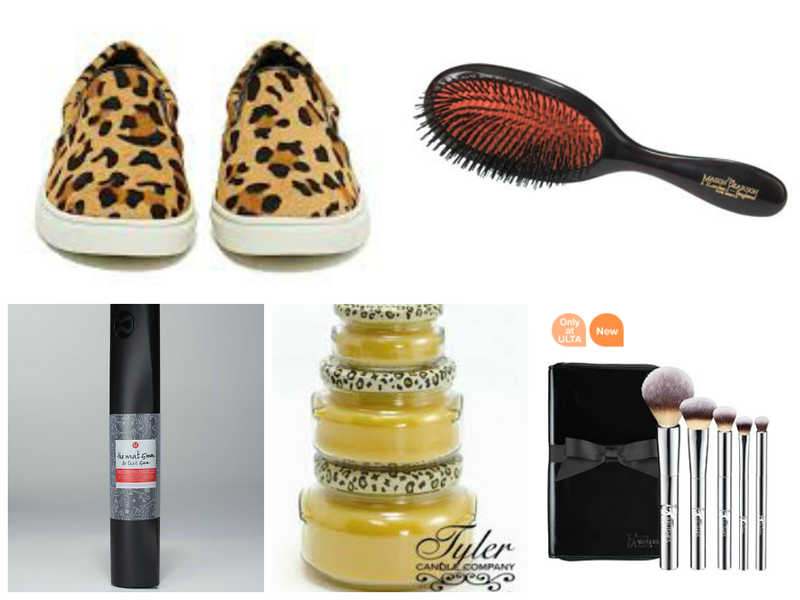 Mason Pearson Brush– Boars hair is wonderful for your scalp and I really want to try this out! Anyone out there have one? 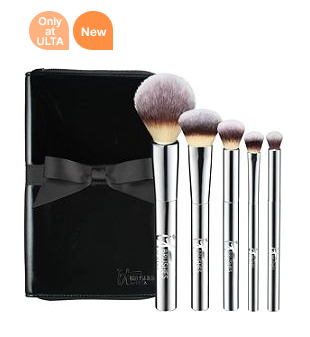 IT Brushes– It is that time again to but makeup brushes and I love this simple set from Ulta! 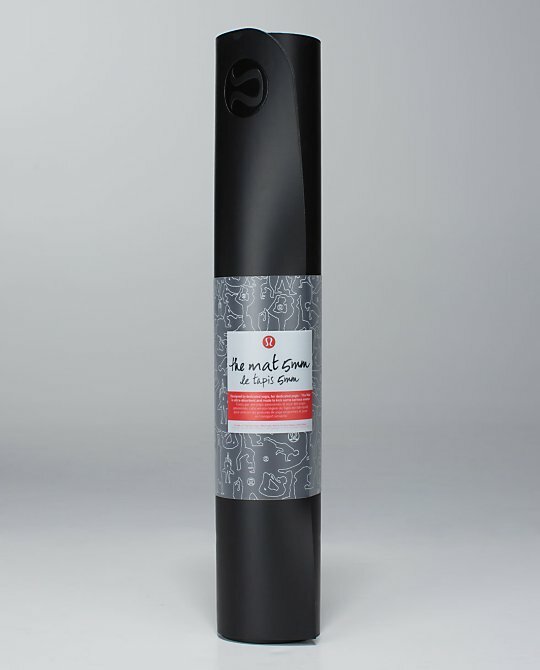 Lululemon- The Mat– It is also time for a new yoga mat. I have been doing a lot of research and have heard rave reviews on this one. I have bad wrist so a relatively thicker mat is what I am looking for. What are your current crushes? My first several post have come to me very easily and truthfully without much effort. I knew soon enough I would have to start creatively thinking and I was excited to let that creative energy in! That is one of the reason I wanted to start a blog! Well, today I was thinking I need some inspiration on this gloomy Monday! 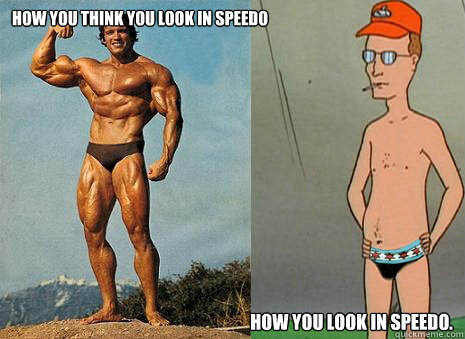 Then the thought struck…. what if I write about things that inspire me. Some things that inspire some are serious and some are things that just help me get in the right “mind set.” So here it goes in no particular order! Yoga/running- Sometimes I am inspired by the motivation it takes for me just to get up and do it but I feel so amazing once I am done. Such an accomplishment and both activities allow me to clear my head! 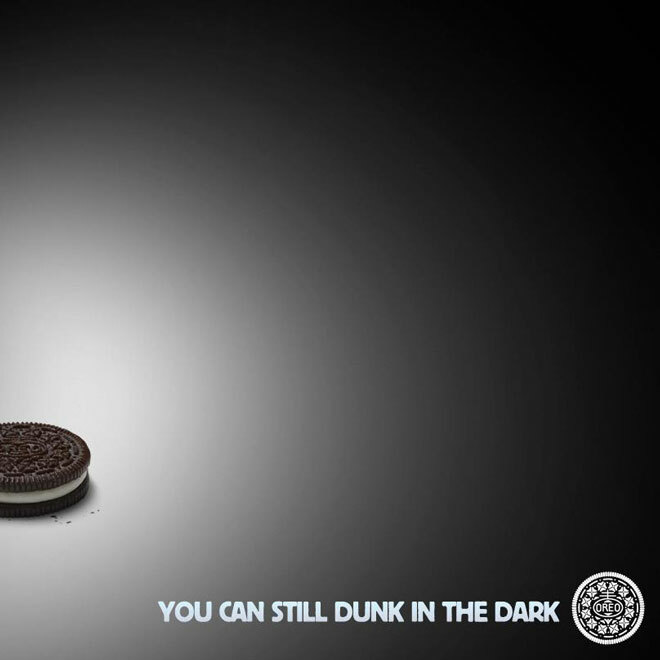 Oreos- Sometimes you just need some good ol’ junk food. End of story. Of course their super bowl reaction 2 years ago was priceless [see below.] AND NOW THEY HAVE NEW FLAVORS! I really want to try the cookie dough flavor! The Beach- The sound, the smell, the feel of the sand…. so many of my senses are evoked and I am so calmed when I am there…. Wish I lived closer but when I get to go it is something I cherish! Reading- Most night no matter whether it is a serious book or a trashy romance novel, I come across so many quotes that make me stop and think! I think it is one of the reasons I LOVE reading… I get lost in the stories but they also give me a time to reelect. Netflix binging- This is similar to reading I am able to get lost and a story but usually something sparks my creative side and I am inspired. I love watching tv shows and movies. UM AND I CANNOT WAIT FOR HOUSE OF CARDS!